French aircraft maker Airbus has cancelled its contract with Japanese carrier Skymark Airlines for the purchase of six A380 superjumbos. Airbus it had been in discussions with Skymark about the contract signed in 2011, but did not give a specific reason for cancelling it. 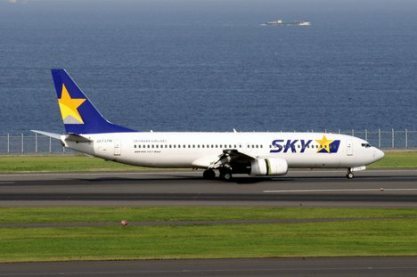 Skymark suggested it wanted to revise the contract terms, but was being charged “overpriced” fees to do so. Shares in the airline slumped 13% after it revealed it was in talks with Airbus over revisions to the deal. Skymark told reporters in Tokyo it had tried to reduce the number of aircraft in the deal, or buy smaller jets. “[Airbus] said it would charge overpriced breakup fees for cancelling the purchase of A380s if our company decides to cancel,” Skymark president Shinichi Nishikubo said. Skymark said it had received notification of the deal’s cancellation by fax on Sunday, according to the Reuters news agency. “Following discussions with Skymark Airlines and in light of the airline’s expressed intentions in respect of the A380, Airbus has… notified Skymark Airlines that the purchase order for the six A380s signed in 2011 has been terminated,” Airbus said. Reports suggest the plane maker had concerns about Skymark’s ability to pay for the aircraft, particularly in light of the weak yen. The aircraft manufacturing market in Japan is currently dominated by Boeing. Airbus was seeking to break that dominance with the Skymark deal. Internationally, Airbus has been struggling to win orders for its super jumbo. The A380 is the world’s largest passenger aircraft. It stands at more than 79ft tall and has a wing span of almost 262ft and can carry more than 500 passengers.